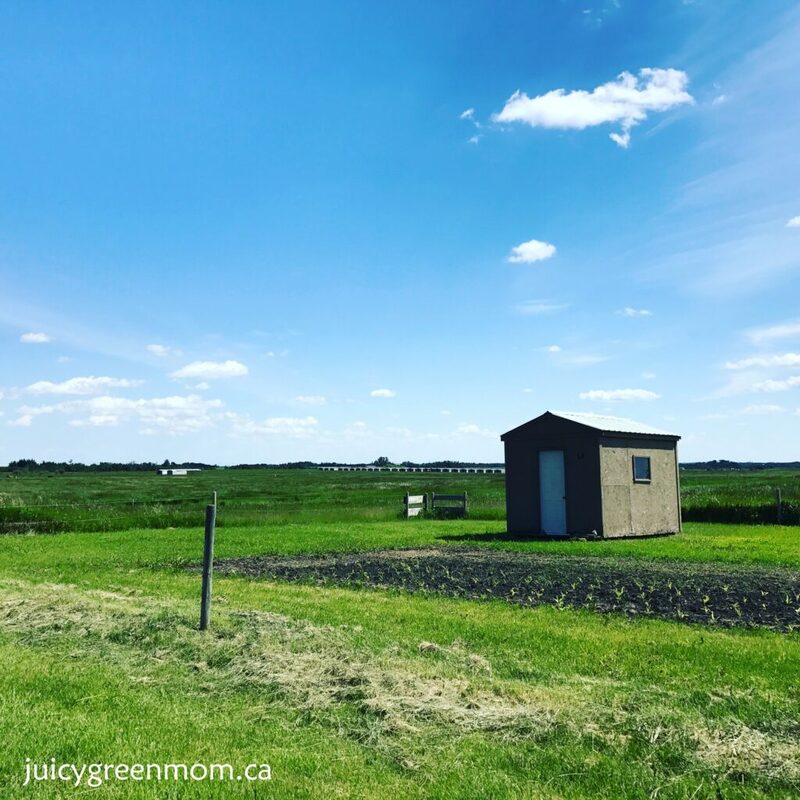 If you live in the Edmonton area, you’ve likely heard of Sunworks Farm and their organic meat products. I’ve considered them the gold standard of meat producers in the Edmonton area since I found them. 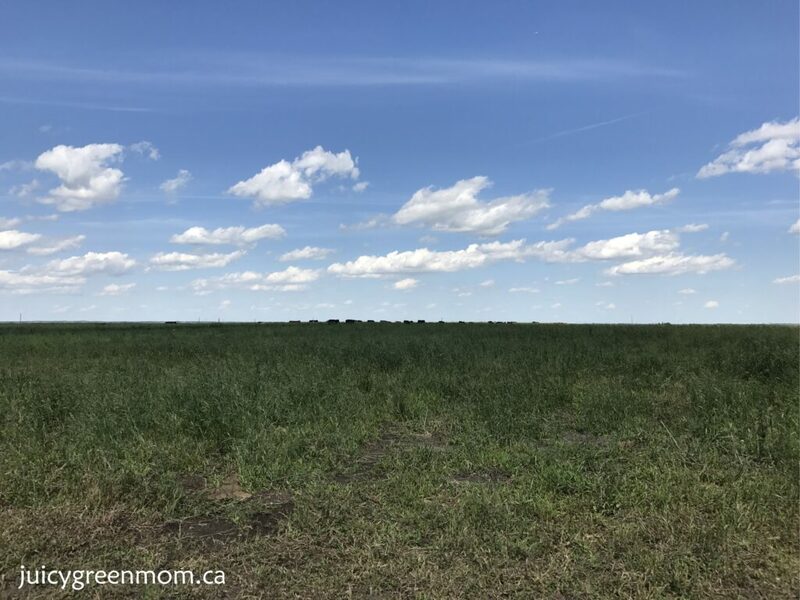 They are always available at the Old Strathcona Farmers Market (year round), the St Albert Farmers Market (during market season), the South West Edmonton Farmers Market (during market season) and at their meat shop in Blush Lane Organic Market. Their products are also available in Calgary at Market on MacLeod. You can also get them through The Organic Box and SPUD.ca – grocery delivery services. Comments I frequently hear about Sunworks products are “their sausages are so delicious!”, and “you can really taste the difference in their meat.” It’s true. There are no other sausages like theirs. And their certified organic meat really does taste different than the conventional meat found at a grocery store. But is it really a big deal? What do certified organic and certified humane really mean? And why should it matter to you when you’re making a meal? I had the opportunity to do a small group tour of Sunworks Farm with owners Ron, Sheila, and Isaac, and my eyes were opened to why these things matter. I had attended their last Family Farm Day, which is an annual event they do to invite customers to see how they do things. This time around, though, I got a lengthy amount of face time with Ron, Sheila, and Isaac, and got to ask lots of questions. What stood out was their emphasis on doing things according to their values. They are so passionate about growing good clean food, bettering the environment, and treating their animals humanely. Sunworks Farm is composed of 400 acres of farmland. They raise laying hens, chickens, cattle, and pigs. They have been certified organic since 1997 and certified humane since 2005. They are audited by various agencies several times per year. Their laying hens produce 300 dozen eggs every day. 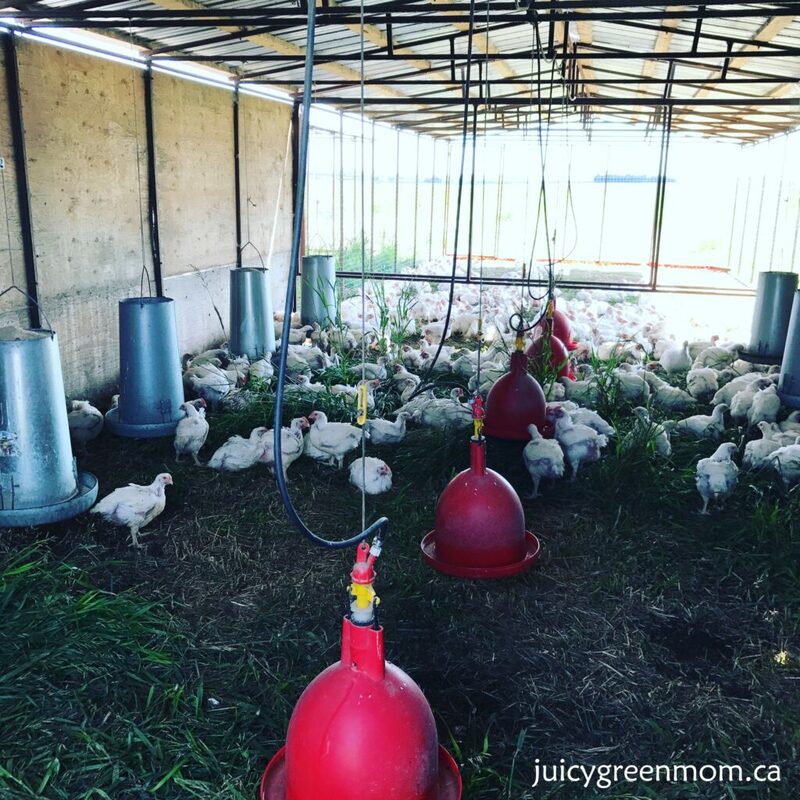 Hens and chickens are kept in outdoor shelters that are moved daily to provide access to fresh grass all the time. The shelters have roofs to protect chickens from aerial predators like owls. 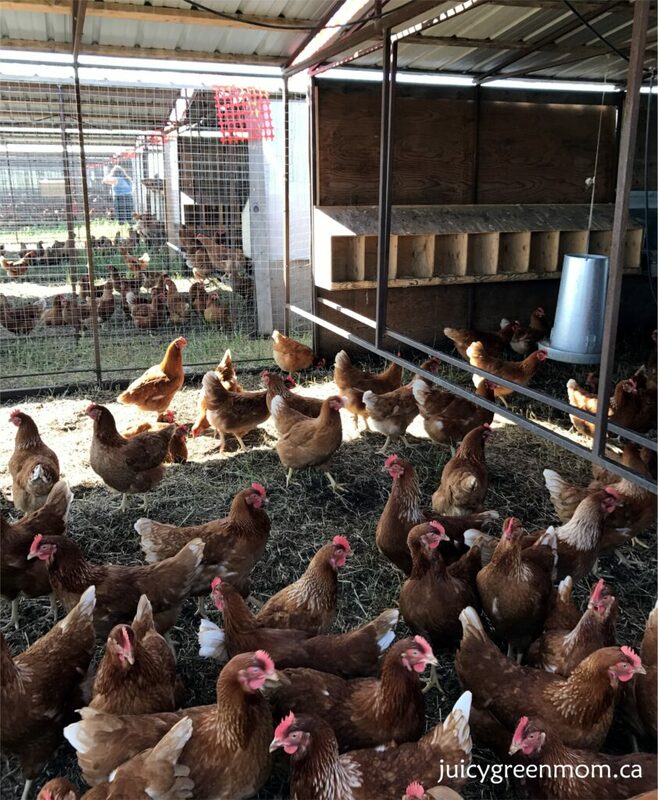 It takes about 49 days to grow a chicken on Sunworks Farm (versus 36 days for a conventionally grown chicken). Clean wood chips are provided to young chicks in the barns every day. (New chicks are kept indoors in barns until they have enough feathers to keep warm outside.) 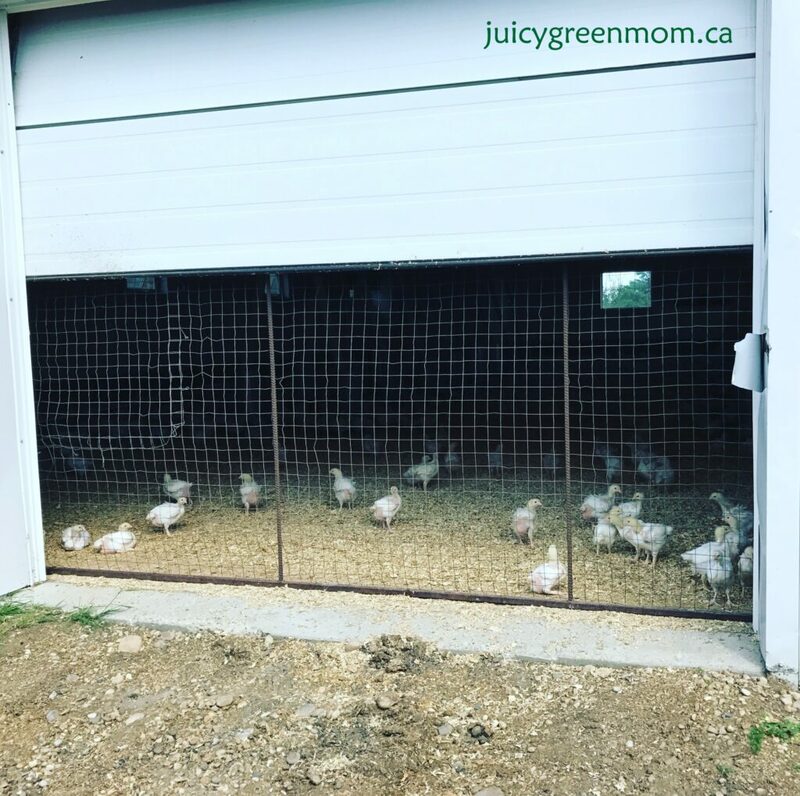 Once the chicks get moved to an outdoor shelter, the barns are cleaned out and the used chips and chicken manure get composted. Cattle are on time controlled grazing depending on how fast the grass is growing. They get moved around to fresh grass to keep the grass height under control. The cattle living on the grass improve the soil quality. The long term goal is to create more topsoil and improve the land quality for future generations. In the winter, cattle are fed hay and alfalfa pellets. Coyotes and other wild animals co-exist with the animals on the farm. They don’t try to exterminate wild animals that could pose a threat to them. Coyotes have learned to stay away from electric fences that protect the farm’s animals. No salmonella is present on the farm. Sunworks Farm is truly an example of what you imagine a farm should be. Lots of room, wide open spaces, happy animals given access to the very best. Everything is used, nothing goes to waste, and the land gets better as a result of their farming practices. It is a beautiful farm, and the owners are full of honesty and integrity. I truly believe the owners of Sunworks Farm are leaders in organic and humane farming. 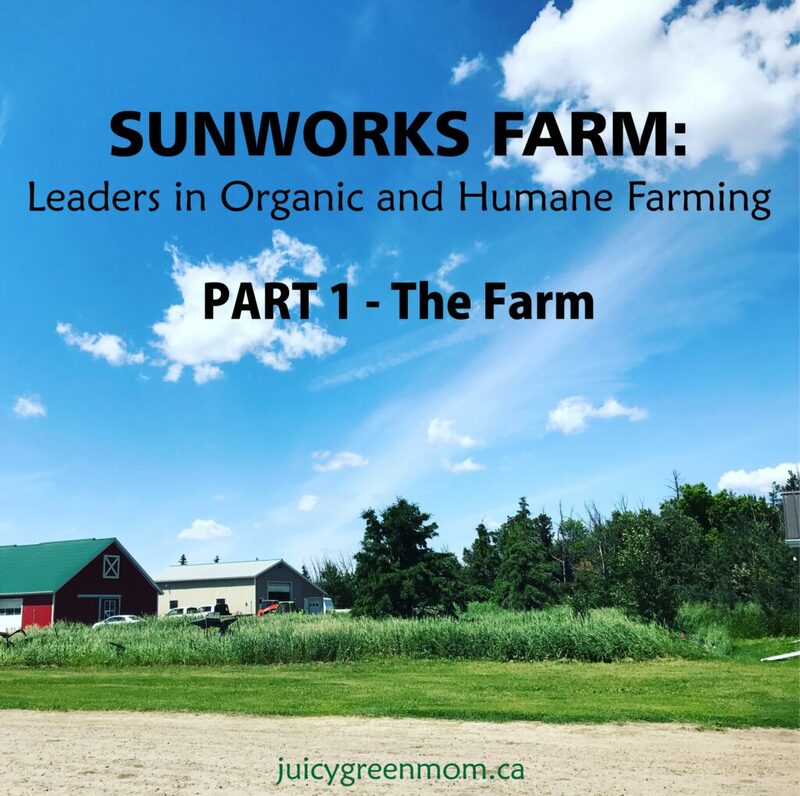 Read Part 2 here, where I tell you about the on-site processing plant at Sunworks Farm! Read about the Family Farm Day I attended here.